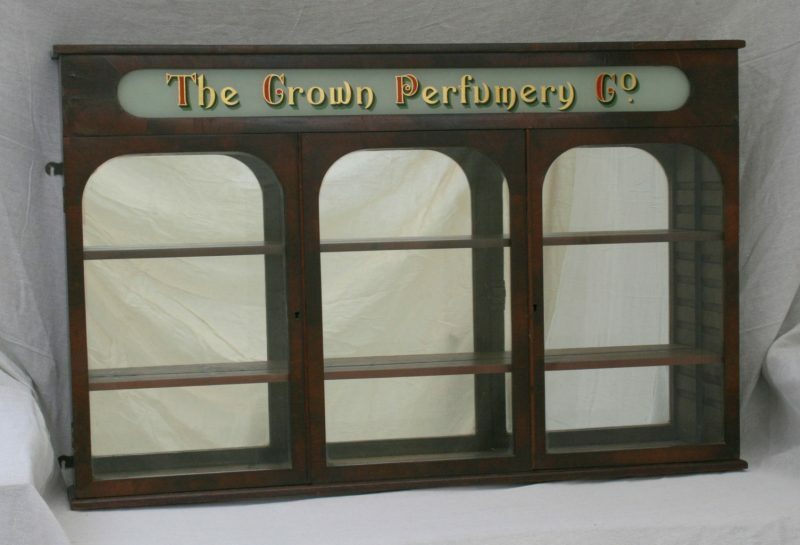 Victorian Antique 19th Century Three Door Pharmacy Cabinet | Interior Boutiques – Antiques for sale and mid century modern furniture, french furniture, antique lighting, retro furniture and danish furniture. 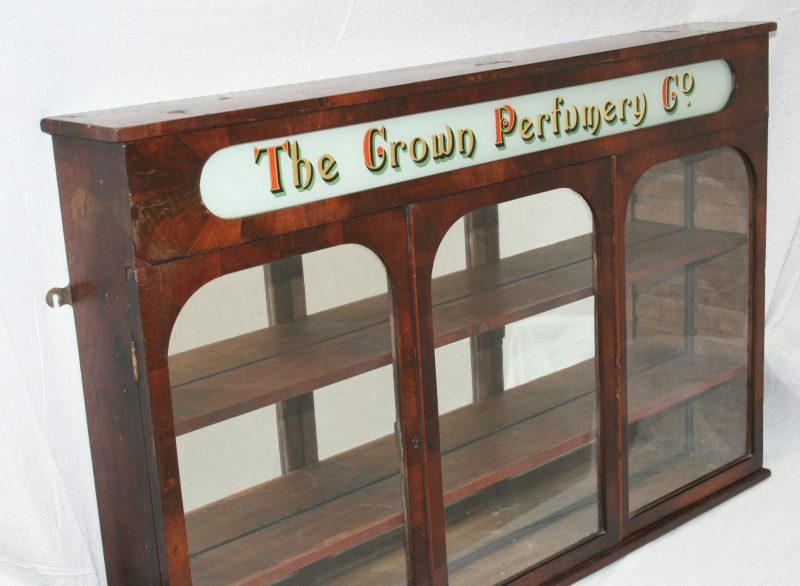 Condition Report: Very good condition, some wear and tear consistent with age. 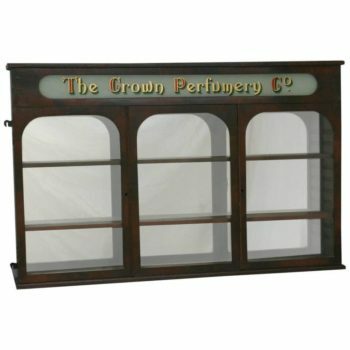 Victorian Antique 19th Century Three Door Pharmacy Cabinet with a sliding door to the center and two hinged doors left and right. 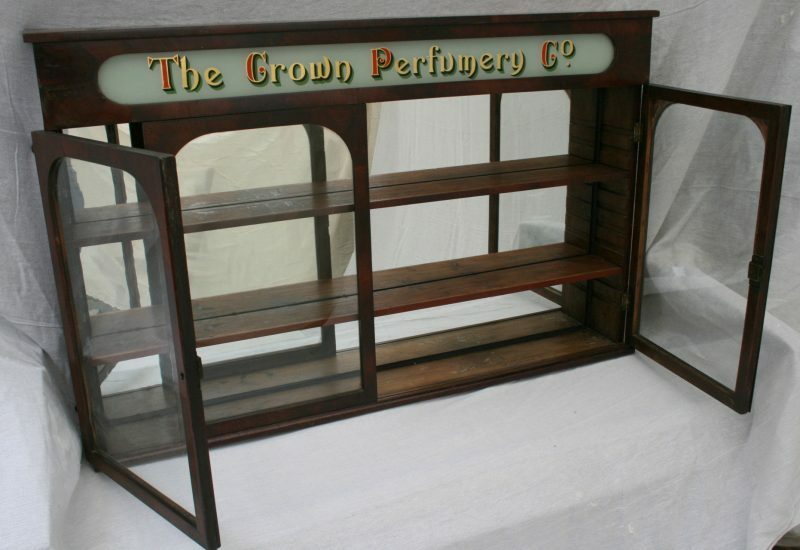 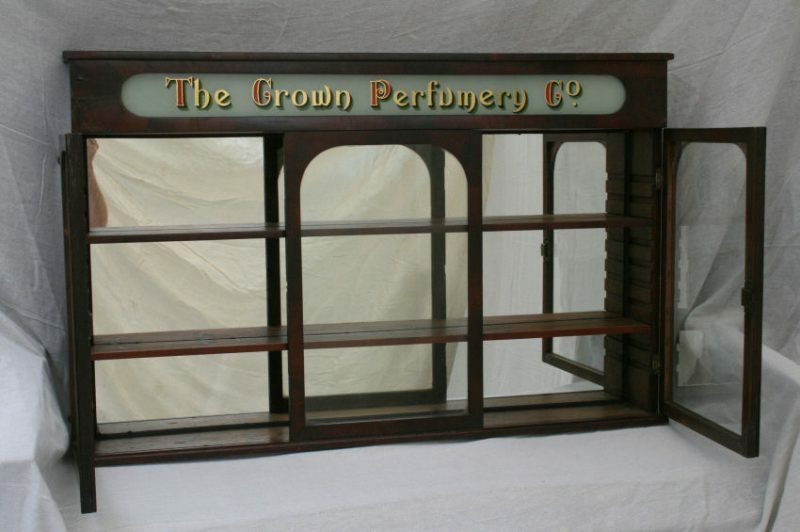 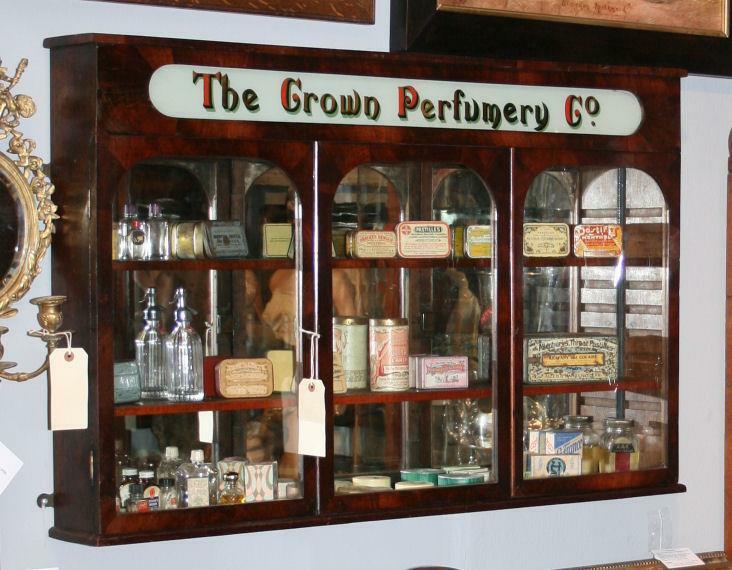 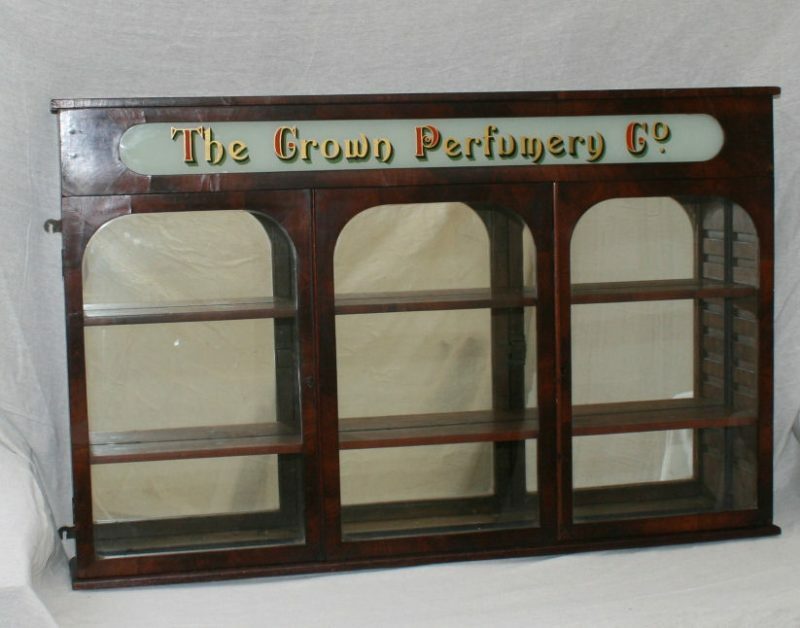 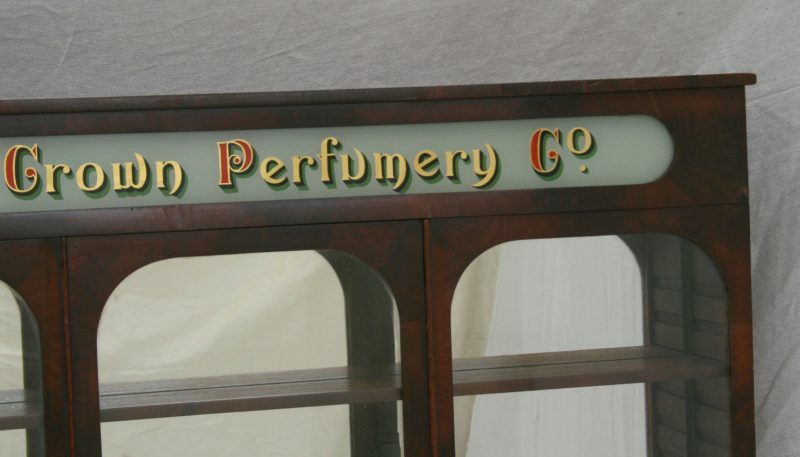 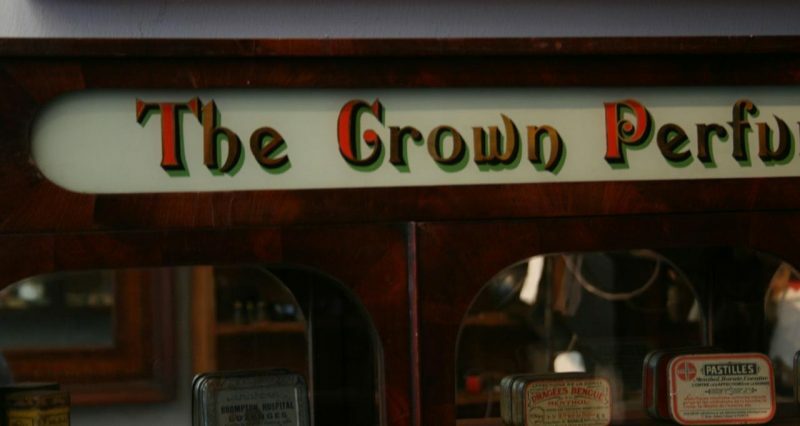 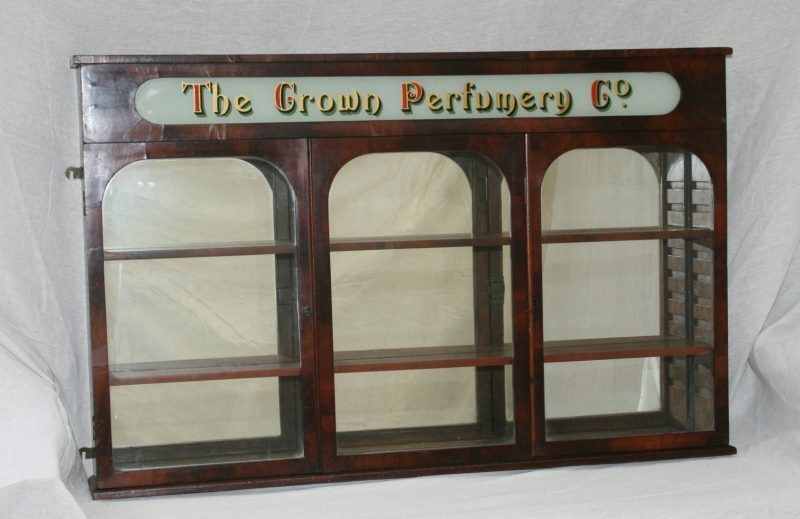 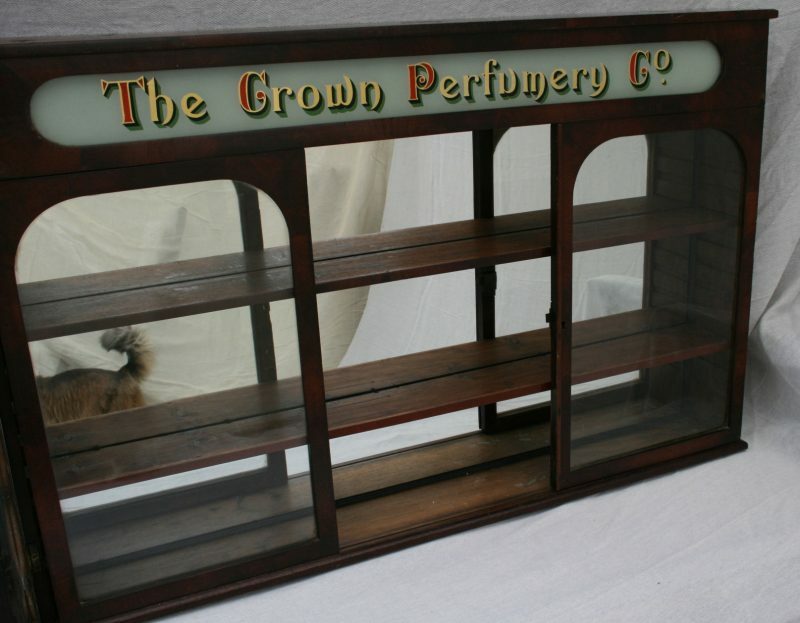 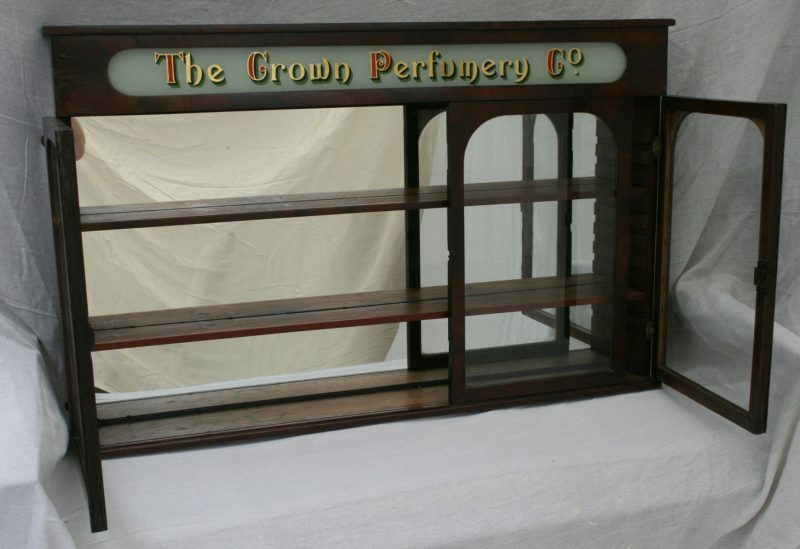 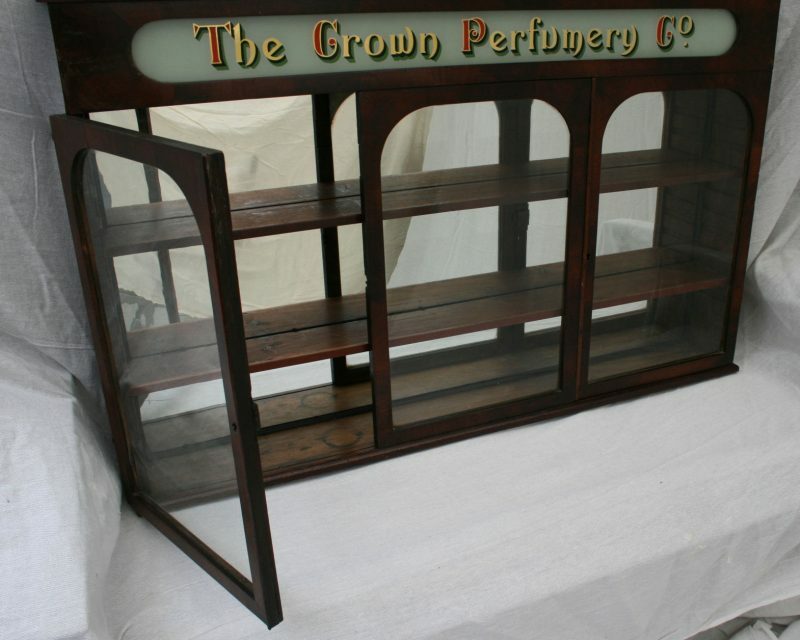 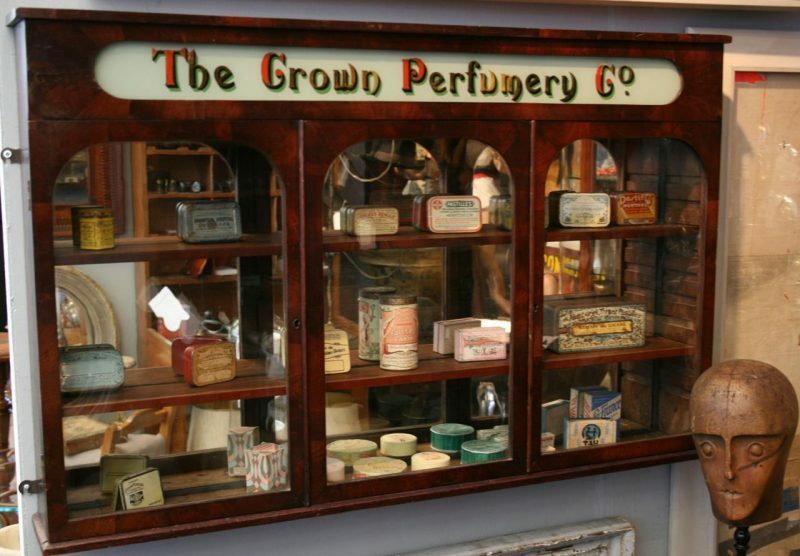 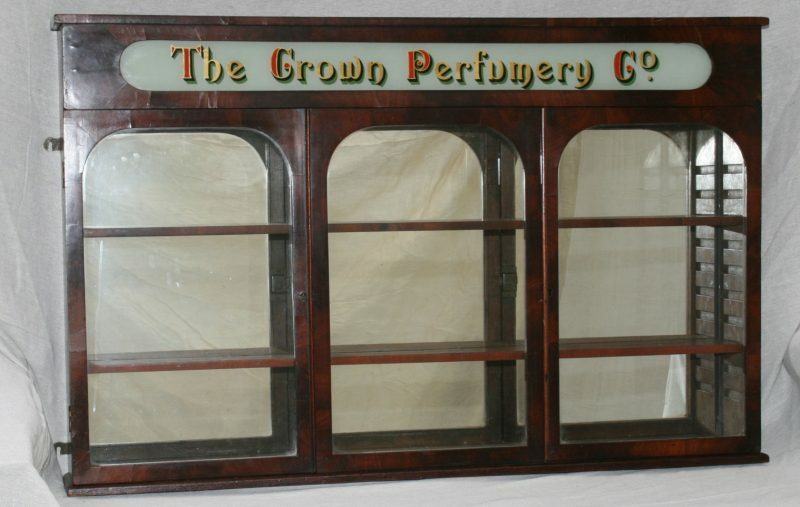 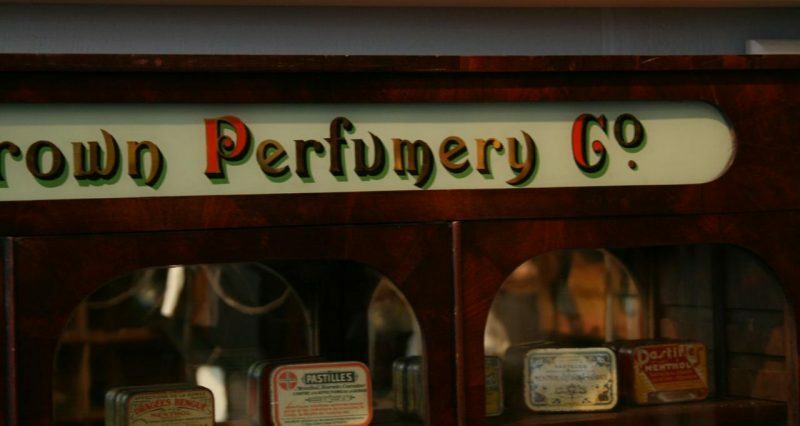 Original antique wavy glass doors and original glass advertising pediment advertising The Crown Perfumery Co. 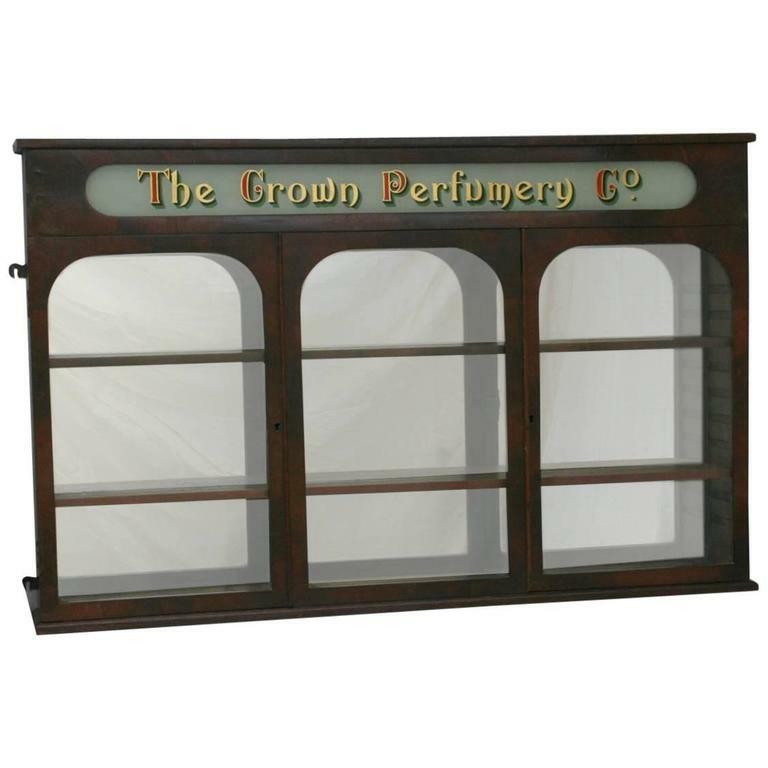 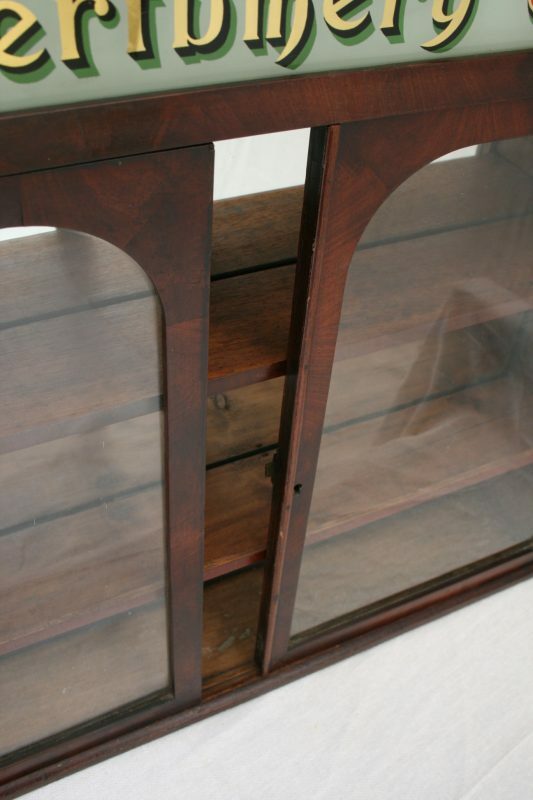 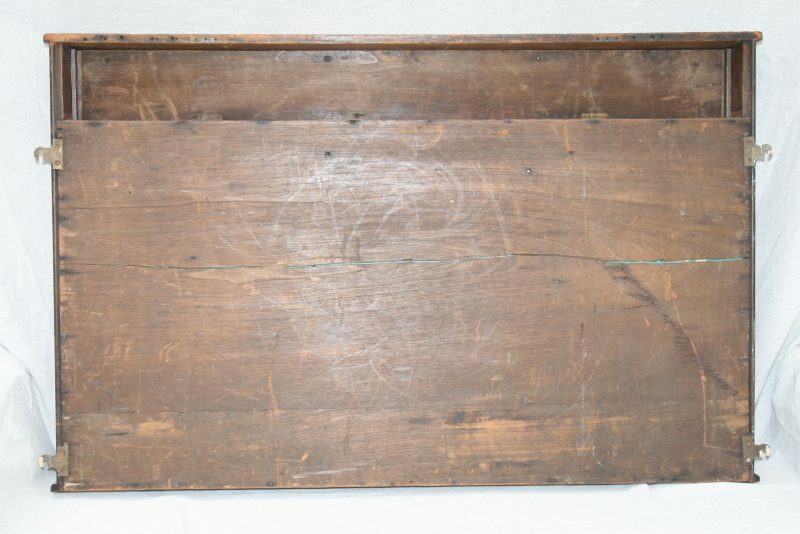 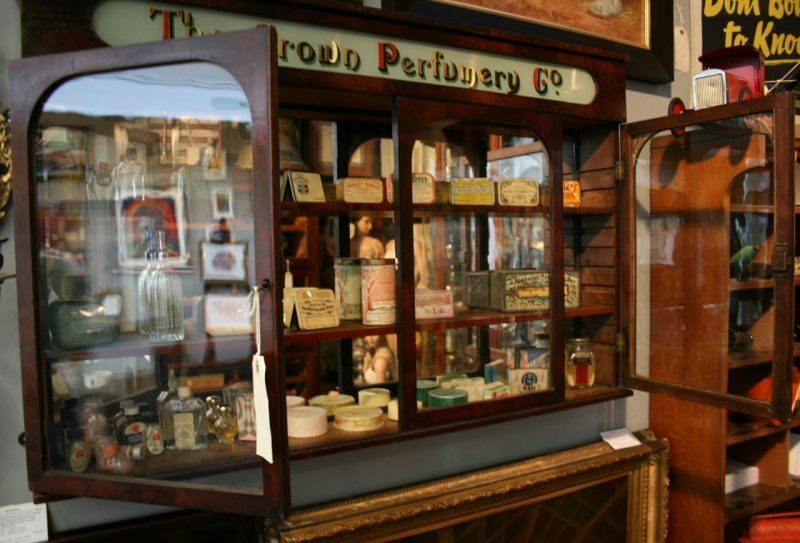 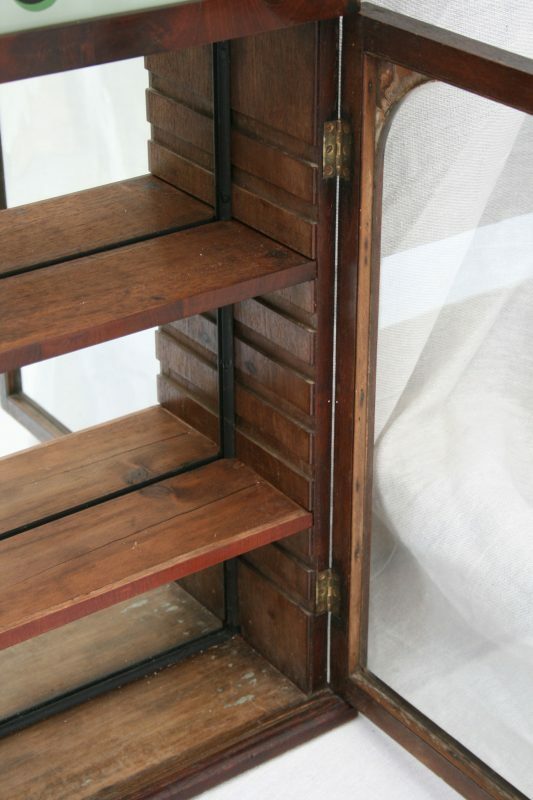 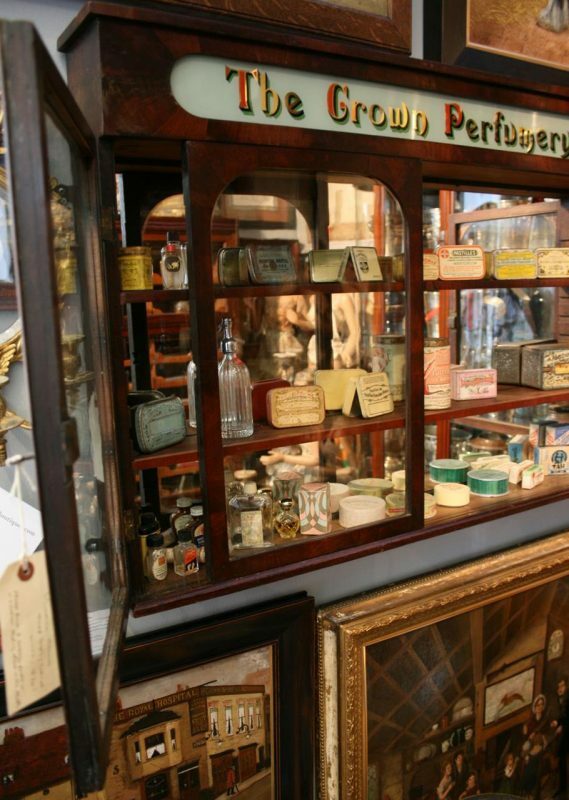 This chemist cabinet dates back to the 1870s and is in exceptional condition for its age with just a little wear and tear consistent with its age.